Set contains 2 trusses for ISS main solar panels. One set is enough to build ISS in today's configuration; for ISS in final configuration 4 sets are needed. Sets it specified to use together with Revell 1/144 International Space Station kit 04841. 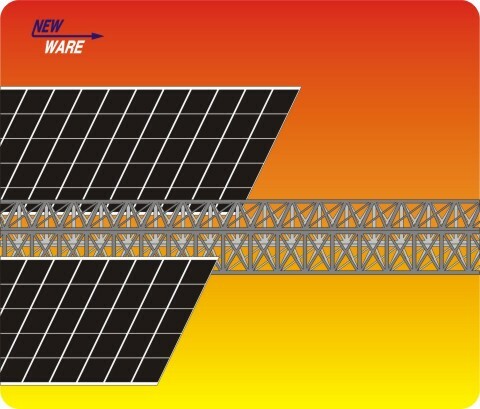 It is very easy to apply the set to solar panels - you will remove the original trusses and replace it by New Ware ones. PE trusses are much stronger than original ones and helps to prevent deforming solar panels.